TJ Grant’s slow recovery made headlines again this week with reports that he still is not cleared to fight since last year’s concussive injury. Is there really anything unusual about this timeline given that he just had a “mild” concussion? Unfortunately the answer is no. The reality of post concussive symptoms is they can take time to clear, sometimes they never do. 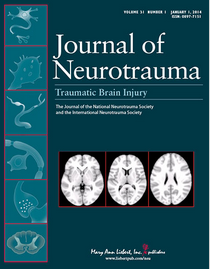 This month’s Journal of Neurotrauma sheds more light on this topic. In the recent study (Symptomology and Functional Outcome in Mild Traumatic Brain Injury: Results from the Prospective TRACK-TBI Study) findings were published revealing what people who study head injuries already know; there is nothing necessarily mild about a mild traumatic brain injury. In the study a group of patients who suffered MTBI (with a Glasgow Coma Score of 13-15) were followed at 3, 6 and 12 months post injury. None of the patients required admission to hospital and none had objective findings on imaging (in other words all of them had what is often referred to as a mild concussion). The study revealed that despite the “mild” nature of the brain injuries, 33% were functionally impaired 3 months post injury, 22% were below functional status at the one year mark and further that 82% still had at least one lingering post concussive symptom 12 months post trauma. The bottom line is there is nothing unusual about TJ Grant’s ‘slow’ recovery; in fact it is quite typical. If anything is unusual, given current medical knowledge, it’s that more combat athletes don’t take longer to return to the fight game following diagnosed concussive injuries.